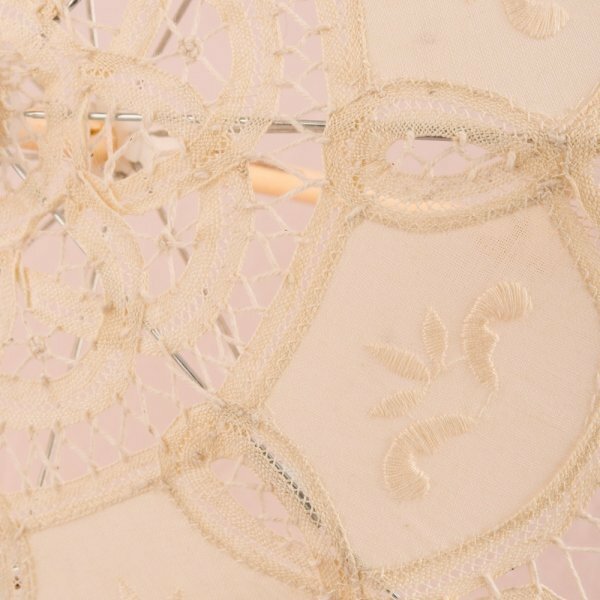 Dress up your ceremony or reception with these romantic ivory lace parasols. 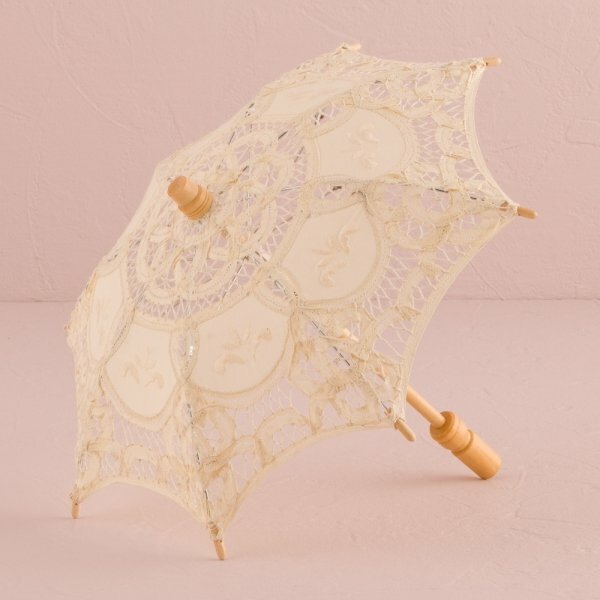 Whether carried down the aisle by your bridesmaids or used as part of your ceremony and reception decor, they will add a dreamy finishing touch to any wedding style with their delicate design. 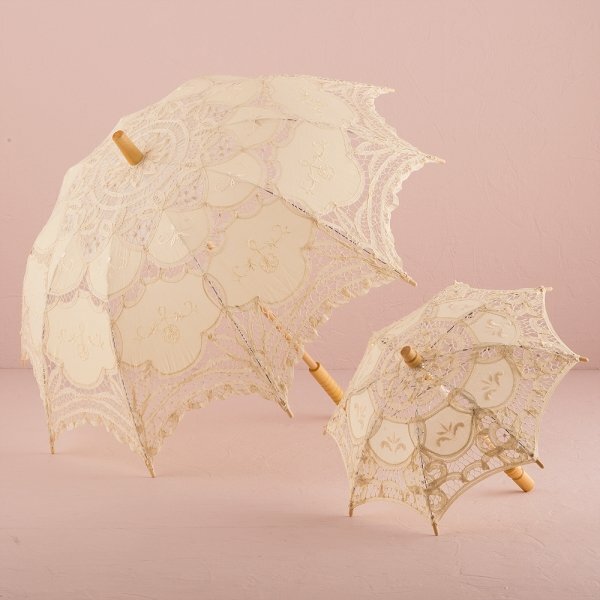 The standard umbrella measures 19" while the small umbrella measures 7 1/2" and works wonderfully has a prop for photos or decor piece. 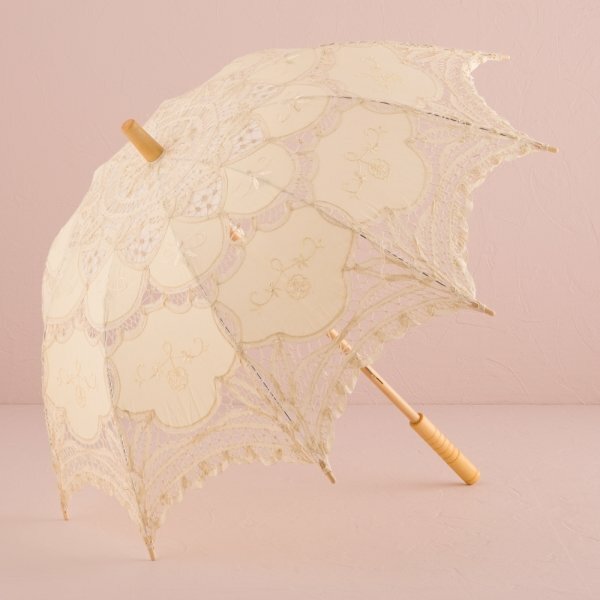 Which size umbrella would be for a centerpiece? I need 28" up. 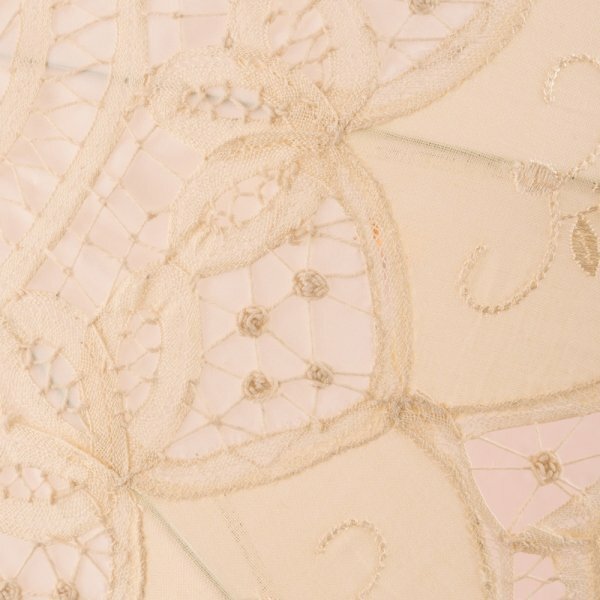 We recommend the small size (7 1/2") for a decor piece; however, the standard size measures 19". The one shown in the picture is the standard size.